Looking for a resilient, attractive, and affordable floor system? Look no further than an epoxy floor coating. 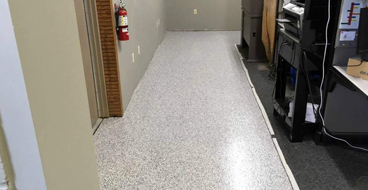 As one of the leading epoxy floor coating companies in Nampa, Idaho, we install high-quality and reliable epoxy systems for homeowners and facility managers. Epoxy flooring is a great solution to transform a dusty and cluttered garage into usable space or give a commercial facility the professional and attractive update it needs. We can customize the appearance and performance of your epoxy coating based on your needs and budget to deliver a long-lasting system you’ll be proud to show off. It's a common misconception that epoxy coatings are little more than paint. The turth is epoxy coatings for concrete floors are industrial-grade systems that increase the tensile strength of the concrete and withstand everything from hot tire pick up and chemicals to moisture and abrasion. Our 100% solids industrial grade coatings are made from hardeners and resins that bond with the concrete and cure into an incredibly resilient plastic material. Considering upgrading your existing floor system or upgrading a bland, dusty, and stained concrete floor? AN epoxy floor coating in Nampa, Idaho offers plenty of benefits you won’t find elsewhere. From its low cost and attractive design options to its resilience and versatility, here’s why an epoxy coating makes a great investment. No matter where it’s installed, longevity is a big concern with an epoxy floor coating. Unlike DIY kits and low-grade epoxy products, our industrial-grade coatings are made to withstand even the most demanding environments and keep kicking. 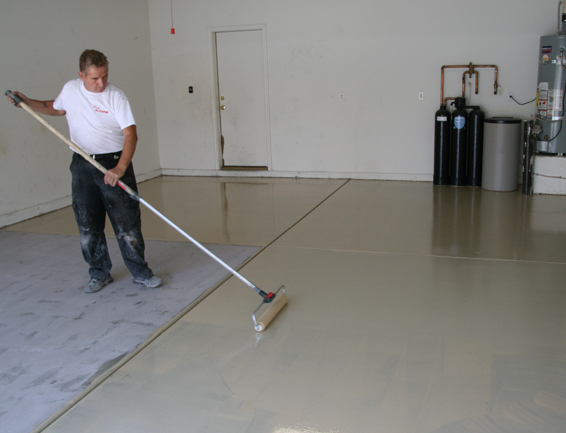 An industrial epoxy floor coating in Nampa, ID can last up to 8-10 years. In less extreme conditions, epoxy can last up to 20 years or longer. It’s hard to beat this extremely long lifespan, especially when you consider the low lifecycle cost. It doesn’t mean much for your floor to last a long time if it looks terrible and shows its age. That’s one of the perks of epoxy: it doesn’t just last, it maintains a crisp, professional, and stain-free appearance for up to 20 years. An epoxy floor coating in Nampa is one of the most hard-wearing surfaces available because it resists abrasion, chemicals, moisture, heavy weight loads, vehicle traffic, shopping wheels, constant foot traffic, and more. When properly installed, an epoxy coating is virtually seamless. This means there are no cracks or crevices for dirt to hide. Epoxy flooring is even USDA approved. 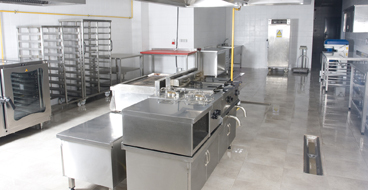 Its seamless and hard-working surface makes it ideal for commercial kitchens, restrooms, food processing plants, hospitals, and anywhere a sanitary and durable floor is a necessity. Epoxy flooring can withstand heavy-duty use and abuse but this level of protection doesn’t cost a fortune. Epoxy is actually one of the most affordable floor systems, especially when its longevity is considered. An epoxy garage floor coating can cost $5 or less per square foot, depending on your customization options. We also install specially formulated industrial epoxy products designed to fit the needs of your facility and budget. Did you know a Nampa epoxy floor coating is one of the easiest floor systems to personalize? A garage epoxy coating can be customized with your choice of colors, designs, and effects to transform your garage and boost your home’s value. Commercial properties can also benefit from a decorative floor system. 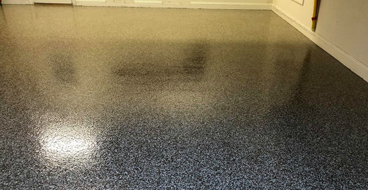 One of the most impressive options is a metallic epoxy floor coating which creates an elegant and 3D effect perfect for a garage, basement, hotel lobby, office building, restaurant, and more. You can trust our epoxy floor coating contractors for superior results. We use high-grade epoxy products and careful installation techniques for results that last. To deliver results you can depend on, we begin with thorough floor prep to create the ideal surface for the epoxy bonding process. All damage to your concrete must be repaired, including cracks and spalling. Oil stains will also be lifted so they don’t interfere with the bonding. Once damage is corrected, we use a process called diamond grinding to profile the surface, removing imperfections and opening the pores of the concrete. This leaves a smooth, porous, and flawless surface ideal for an epoxy application. We use a high-quality epoxy primer to act as a moisture barrier and increase the strength of the epoxy bond. Next, we apply a multi-layer system of industrial-grade 100% solids epoxy to your specifications. Our epoxy floor coating contractors have decades of experience installing epoxy with the skill necessary to create any type of decorative design from custom shapes and effects to metallic epoxy floor coatings.